Ended On 06/24/2018 Thank you! 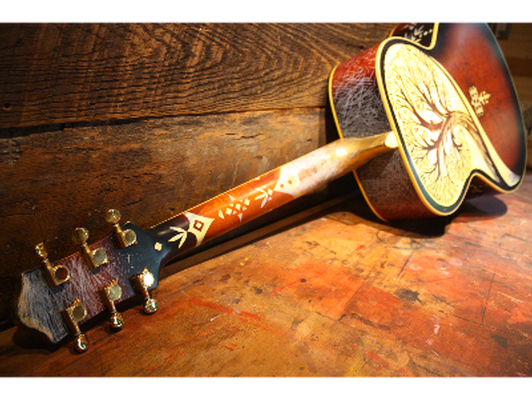 Gretsch Historic Series G3100 acoustic guitar painted by famed Athens, GA-based artist, David Hale. This Gretsch G3100 was graciously donated to AthFest Educates by the William & Sylvia Gretsch Memorial Foundation. The guitar is part of Gretsch's Historic Series and the G3100 was only produced from 1999 - 2003. 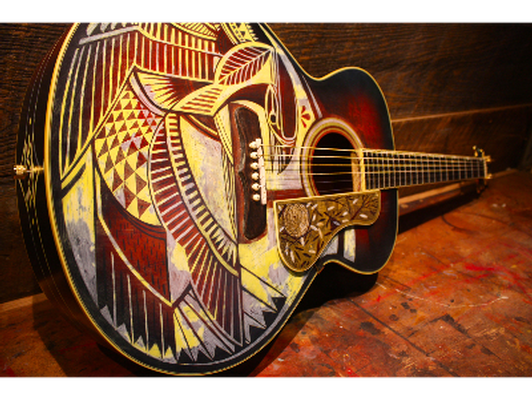 David Hale, owner of Love Hawk Studio, beloved Athens-Ga, based artist, and great friend of AthFest Educates, donated his time to paint the Gretsch for this auction. 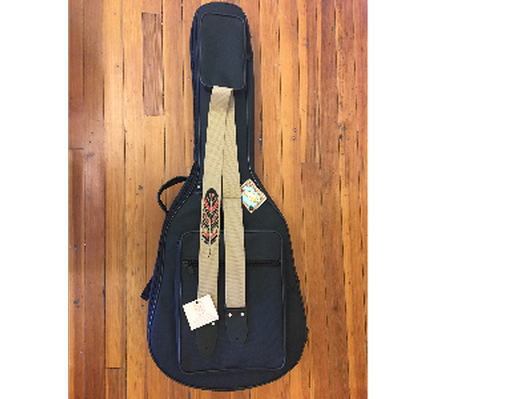 The guitar features David's signature images of the natural world and includes a Henry Heller guitar strap, also designed by David Hale, and a Henry Heller guitar case. The guitar sounds amazing and will be a show-stopper for any musician or collector. The auction benefits AthFest Educates and helps the nonprofit continue its mission of awarding grants to local schools and community organizations to support high-quality music and arts educations for Athens youth. The auction coincides with AthFest Educates's annual event, the AthFest Music & Arts Festival, which runs from June 22 - June 24 in downtown Athens, GA. The auction begins on June 7, 2018 at 12:00 pm and will close on June 24, 2018 at 11:00 pm. Winning bid will be charged an additional $150.00 to cover shipping and insurance.